The Mexican border state of Chihuahua and its city Juarez have become internationally notorious for violence, as drug cartel battles and official corruption have colluded to produce more murders annually than in war-torn Afghanistan. Ninety-seven percent of the killings in Juarez remain unsolved, contributing to a culture of impunity for perpetrators. In the midst of this climate of fear, a small group of human rights activists, exemplified by the Chihuahua lawyer and organizer Lucha Castro, continue to point fingers at the killers and their official enablers. 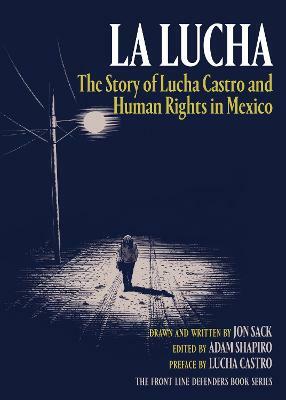 This is the story this book tells, rendering in graphic detail the lives of families ripped apart by disappearances and murders - especially gender-based violence - and the remarkably brave advocacy, protests, and investigations of ordinary citizens who turned their grief into resistance. Jon Sack is an American artist based in London. He is the author of the comic books Iraqi Oil for Beginners and Prisoners of Love: A Story of the Freedom Flotilla. Adam Shapiro is the Head of Campaigns for the International Foundation for the Protection of Human Rights Defenders, based in Dublin and known as Front Line Defenders. It helps protect human rights defenders at risk so they can continue their work as key agents of social change. Adam Shapiro is also a Palestinian rights activist and documentary filmmaker. He lives in Massachusetts.